To Australians, at least, Holden Special Vehicles (HSV) – the official branded performance vehicle division of General Motors Holden – requires little introduction. Whether you love them or hate them, the modified Holden vehicles with their unique body-work, alloy wheels, interiors, upgraded performance engines, brakes, transmissions and suspension are hard to miss on the roads. 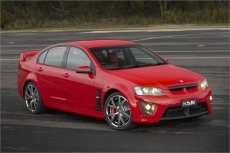 The HSV-branded performance division is operated by a company called Premoso Pty Ltd under licence from GM Holden. Premoso only sells genuine spare parts and accessories for HSV vehicles to the network of authorised HSV Dealers, which are required to only sell spare parts and accessories to customers who provide a build and tag number to certify their ownership of a HSV vehicle. This exclusive arrangement (which would no doubt otherwise fall foul of competition law) is supported by relevant intellectual property rights, including registered trade marks for HOLDEN and HSV, as well as relevant badges, and design registrations, all of which are owned or controlled in Australia by GM Holden Ltd and related companies. 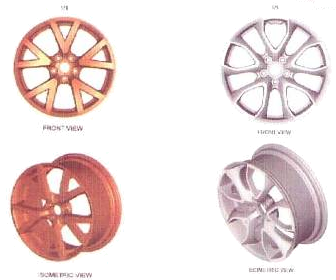 The decision of Justice Gordon in the Federal Court of Australia in GM Holden Ltd v Paine concerns what appears to have been a particularly flagrant case of counterfeiting of HSV parts, and alloy wheels in particular. While Her Honour also found in favour of Holden in relation to accusations of trade mark infringement and the common law tort of ‘passing off’, our interest was piqued by an award of A$10,000 by way of ‘additional damages’ under subsection 75(3) of the Designs Act 2003. Notably, since 2007 there have been similar provisions available under subsection 122(1A) of the Patents Act 1990. As a general rule, the relief available to an applicant for infringement of intellectual property rights in Australia comprises an injunction, and either damages or an account of profits. Historically, the statutory IP laws have gone no further than this, i.e. restraining the respondent from continuing its infringing activities, and providing fair compensation to the applicant for losses that they may have incurred as a result of those activities. This is not necessarily so with regard to equitable remedies in general. While it may not be usual for courts to award ‘exemplary damages’ against tortfeasors, they may certainly do so in appropriate cases. Indeed, Justice Gordon did so in this case, awarding A$200,000 in exemplary damages against the respondents for passing off, in view of their ‘complete and continual disregard of their legal obligations and, in particular, the rights of the applicants’, along with the deliberate destruction of documents (at ). (3) The court may award such additional damages as it considers appropriate, having regard to the flagrancy of the infringement and all other relevant matters. (e) all other relevant matters. The Copyright Act 1968 includes provision for additional damages, in simialrt erms to the Patents Act, in subsection 115(4). As yet, there is no provision for additional damages under the Trade Marks Act 1995 (in which section 126 sets out the relief available to the owner of a registered trade mark). Having awarded exemplary damages in respect of the respondents’ passing off, it is perhaps unsurprising that the court was also willing to award additional damages for infringement of registered designs. The considerations in each case appear to be broadly similar. 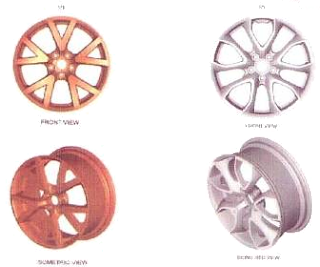 The registered designs in question relate to alloy wheels, respectively known as the ‘VE GTS Design’ (below left) and the ‘Pentagon Design’ (below right). As a result, the applicants did not press their claims for lost profits in respect of such infringements. However, after being put on notice of the relevant design registration by the applicants’ solicitor on 25 March 2010, when Mr Round provided Mohamed Taleb with a summary document which included, inter alia, details of the VE GTS Design, the respondents proceeded to infringe the VE GTS Design on 6 July 2010 … . Moreover, the rear of the VE GTS Wheels bear a notice so as to indicate that registration of the design had been sought. The applicants submitted and I agree that these factors support a finding of flagrant infringement, and that an appropriate award of additional damages is $10,000. It therefore appears that ‘additional damages’ may be additional to no damages, which is useful in a case such as this, in which infringement was clearly occurring, but the extent of infringement was difficult to establish by evidence. As we noted at the outset, our interest in this case is partly due to the existence of similar provisions for additional damages in the Patents Act 1990. As far as we are aware (and someone please let us know if we have missed a relevant decision) there has not yet been a case in which additional damages have been awarded against a patent infringer. Additional damages have been awarded previously in respect of infringement of a registered design. In Review Australia Pty Ltd v Innovative Lifestyle Investments Pty Ltd  FCA 74, A$10,000 was awarded for continued infringement by the respondent after it had been informed of the existence of the registered design. Notably in this case, the court found that deliberate copying of a competitor’s product, absent any knowledge of the existence of valid registered design rights, did not form a basis for an award of additional damages (noting, at , that ‘it is no part of the policy of the Designs Act to prevent copying per se’). Additional damages have also been awarded in copyright cases (see, e.g., Aristocrat Technologies Australia Pty Ltd v DAP Services (Kempsey) Pty Ltd  FCAFC 40). There is a current patent case in which the patentee is seeking an award of additional damages, where the court recently found infringement (SNF (Australia) Pty Ltd v Ciba Speciality Chemicals Water Treatments Limited  FCA 452, and SNF (Australia) Pty Ltd v Ciba Speciality Chemicals Water Treatments Limited (No 2)  FCA 656). A hearing and ruling on the damages has yet to take place, and is currently stayed pending possible appeal. In the meantime, the copyright and designs cases provide our best guidance to the application of the additional damages provision of the Patents Act.